“Forgive me Father, I have not sinned as you expected. I even wouldn’t have been caught dead here were it not for Pope Francis saying that ‘we’ could come to confession. My last true confession was fifteen years ago. My sins are like the litany of saints, or the beads of the rosary you’ll tell me to roll as an act of contrition. “Since then I have committed these sins: during confession I have fabricated sins so I look like the sinner who deserves God’s mercy. I’ve pretended to be the Catholic husband my wife wanted, a God-fearing father for my children, the beloved son for my parents, and the model citizen for my neighbours. “I have not forgiven who have wronged me, I’ve bottled the pain inside me. 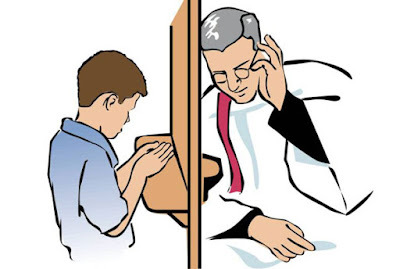 I wonder whether God will be merciful enough to forgive me for forgiving Father John for threatening me with death if I said what he did to me when I was an altar boy. “I didn't realize just how oppressive the bosom of a woman could be until I met him. I was attracted to him with the kind of heady trance that brings a butterfly to nectar. He was the right blend of shy and sweet, the kindest and most loving person I ever met. He had the kind of face that stopped you in your tracks: strong and defined, his features moulded from granite. He had dark eyebrows, which sloped downwards in a serious expression. He had perfect lips ripe for kissing. His strong hands, slightly rough from working, held me warmly than I could remember any woman wrapping me even in heated passion. His lips brushed my ear as he told me, ‘I really do love you’. “Now, there it is. He loves me. He is: kind, loving, caring, understanding. He tells me he loves me, daily. He calls me babe, sweetie, honey—words I’ve not heard from my wife for a decade. “Father, I will take care of my family, my children. They don’t need to know. At least they deserve that. For my wife… well, women no longer arouse me. “Forgive me Father, the beads of the rosary that you were planning to tell me to roll as I recite Hail Marys will keep my soulmate, my love, waiting. Be sure I will be coming back, with my love. Pope Francis said we can come for confession, but Jamie and I will be coming to testify to you how it feels to fly without wings when you find that someone who makes your heart flutter like a butterfly and soul levitate like a dervish, even if that person is a fellow man. The dialogue narrative is well executed, only that the title of the story said it all even before it began. Seeing the title I already knew what to expect. "Confession | Please Forgive me Father" would have been more effective and concealing. Thanks for the pointer Nduka. I like the suggestion--- and see, I changed--- at least I saw your POV. Thank you for your reading and finding my stories engaging; I hope to give you more and more.